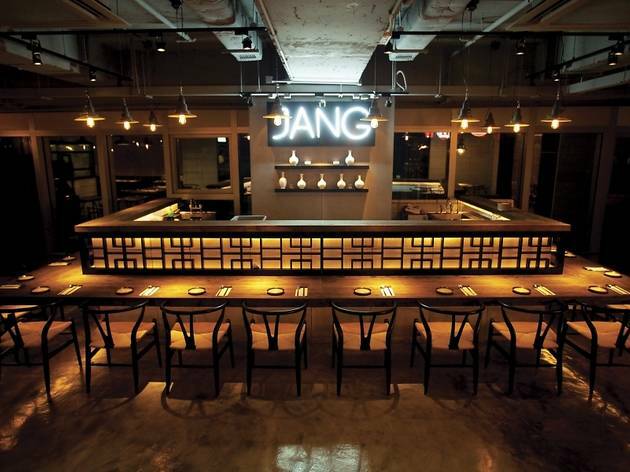 Jang plans to revolutionise Korean dining in this city. 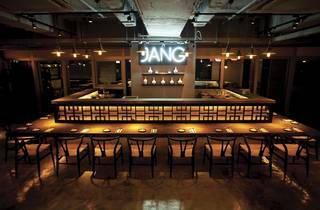 For starters, the owners have gone for a cool, contemporary design with slick furniture and counter seating that wouldn’t look out of place in an Ashton Kutcher-owned sushi restaurant. And keeping with the smell-free atmosphere of fine dining establishments, they’ve left out the DIY tabletop grills, keeping all the barbecuing behind kitchen doors. The food also takes a step away from the traditional. Hearty stews and big meaty slabs are replaced with daintier, prettier portions with higher pricetags. There are house-invented creations, like the deep-fried chicken salad ($88). The crumb-like skin is crisp and the meat, though dry, is perked up by a sweet and spicy soy sauce dressing. The servers also recommend the barbecued beef brisket ($218). Made with Korean beef, each thin slice carries umami fat and the plate comes with a side salad, which can be wrapped with the meat. Yes, it’s expensive, but the quality of the meat is apparent when you compare it with the tough US beef that’s used in the yukhoe ($188) – a K-style tartare served with julienned Asian pear and a raw egg yolk on top. If you’re in a cow-eating mood, splurge for a better product or don’t bother. 18/F, The L Place, 139 Queen’s Rd Central, Sheung Wan, 2412 0002; jangrestaurant.com. Mon-Thu 11.30am-3pm, 6pm-midnight; Fri-Sat 11.30am-3pm, 6pm-1am; Sun 11.30am-3pm, 6pm-11pm. Dinner for two: around $750.